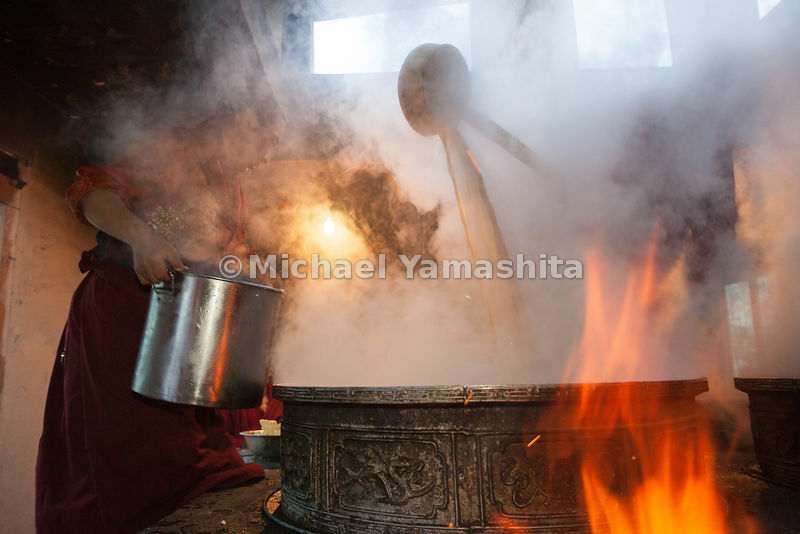 MichaelYamashita | In the chill of the early morning, monks gather on the steps of Labrang Monastery, awaiting prayers and their only meal of the day — sampa, made with yak butter tea. “They have also immense Monasteries and Abbeys, some of them as big as a small town, with more than 2000 monks in a single abbey. 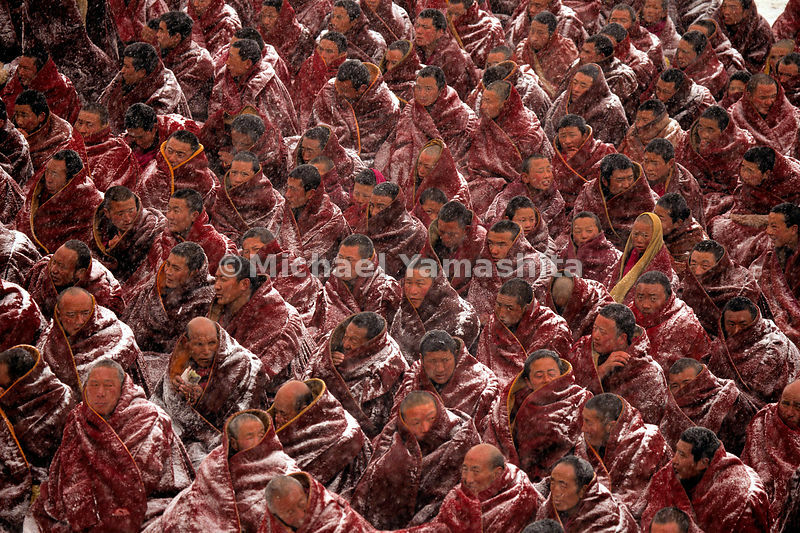 These monks dress more decently than the rest of the people and have the head and beard shaven.” The Travels of Marco Polo, Vol 1, Book 1, Ch 61. 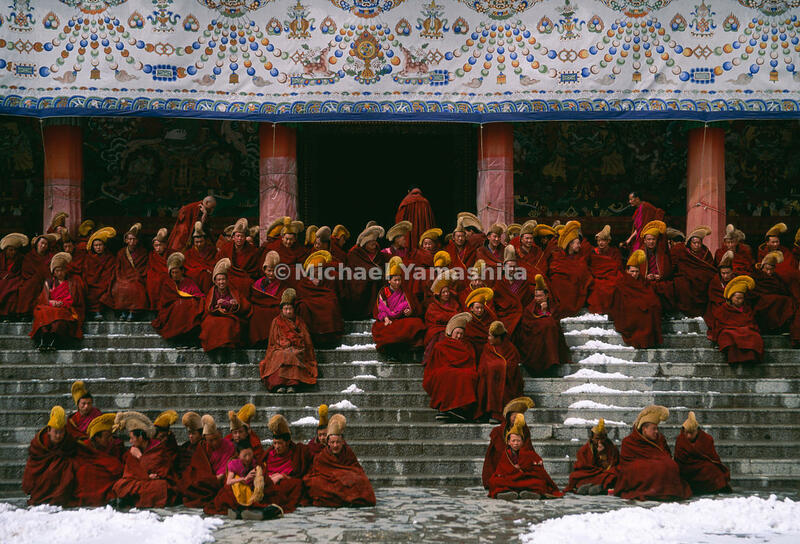 In the chill of the early morning, monks gather on the steps of Labrang Monastery, awaiting prayers and their only meal of the day — sampa, made with yak butter tea. “They have also immense Monasteries and Abbeys, some of them as big as a small town, with more than 2000 monks in a single abbey. These monks dress more decently than the rest of the people and have the head and beard shaven.” The Travels of Marco Polo, Vol 1, Book 1, Ch 61.